Kent, Connecticut. I was over at my friend Joy Brown’s studio today doing a bit of documentary photography for her. I’ve been doing portfolio, gallery, and magazine illustration photography for Joy for a few years now and it’s always a pleasure to work with her. She’s a world class artist and a great person and together we’ve made some nice images of her work. She’s best known for these large, voluptuous, life-like figures in clay and in bronze. Her work is in collections all over the world. 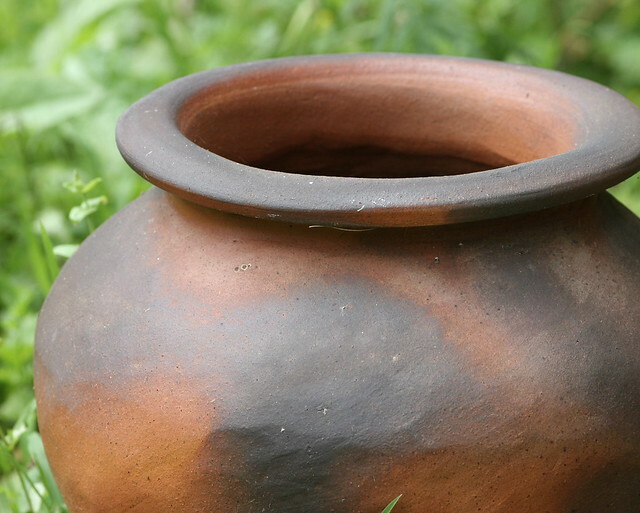 She fires these pieces in a large wood-fired anagama kiln that she built on her property. 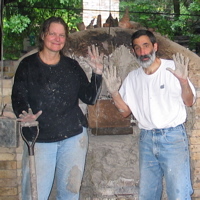 It takes a week to fire the kiln with dozens of people working in shifts throughout the days and nights. An entire year of Joy’s work is in the kiln along with numerous other local potters. I try to get some pieces in each firing and I put my time in stoking as well. Our friend Joy Brown was loading her big anagama kiln the other day and I went by to see where my clay “balls” were going to be in the kiln and just watch the action. 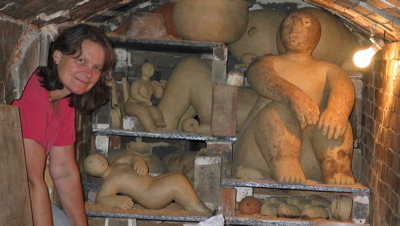 Joy makes large ceramic sculpture of what seem to be large, round women sitting or kneeling. They’re wonderful and she’s got “clients” who have them the world over. Getting them in this long tube of a kiln is no easy job. During my 12 hour shift firing the kiln Joy and I “mudded up” the door with wet clay and straw and rebuilt the firebox to let in a bit less air. Messy job but nice to get messy again after over 20 years of being mostly digital with little clay mess. In the old days we used only pyrometric “cones” to measure temperature inside a kiln and they’re still used in many places. Cones are small ceramic objects that look like 3″ long, tall, thin pyramid that one sticks in a wad of clay and then places near a porthole so one can see it melt and know the kiln has reached a certain temperature. 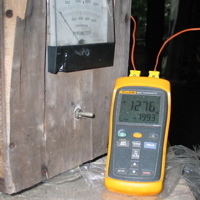 Now, in the modern (digital) age, digital pyrometers are used. The older one on the left here isn’t used anymore. The newer one (yellow) has two inputs from two probes: one for the front (the larger, higher number here) and one for the back of the kiln. This instrument is so accurate and the big kiln so responsive that you can affect change just by putting in the smallest piece of wood. 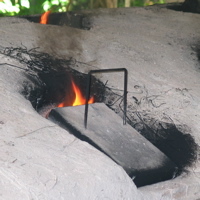 I went back the next day and Joy was struggling to get the back of the kiln caught up with the front and was stoking heavily with little air to create a longer flame and so, heat the back more. 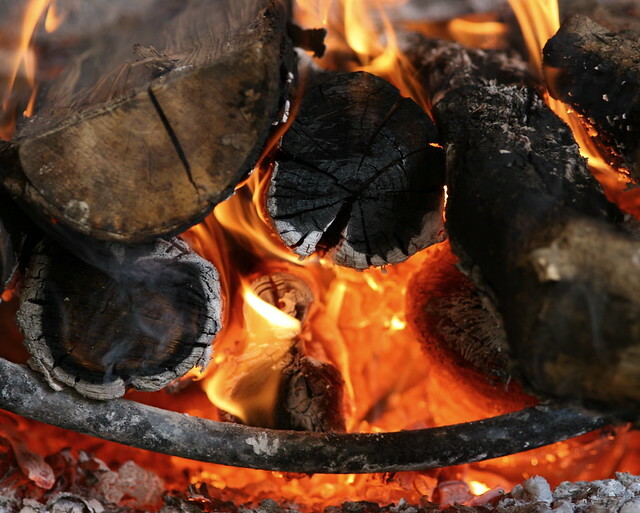 The flame was so long it came out the closed portholes looking for air. The fire is over now. In a few days, I’ll go see the kiln unloaded.